Training in the basic disciplines of Mechatronics is the very first step of education and training in Automation. To be able to think and act within a networked system, the basic technologies must be fully understood. 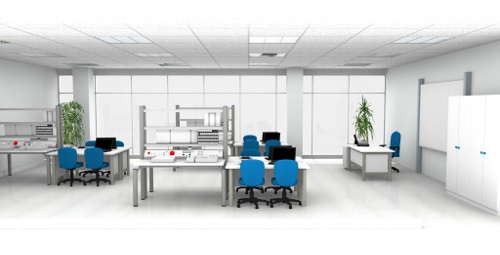 As an important technology in Industry, all aspects of Electrics and Electronics including contact-based circuits and Electrical drives can be trained in this lab.